Trinell queen panel headboard brings home a sense of authenticity. 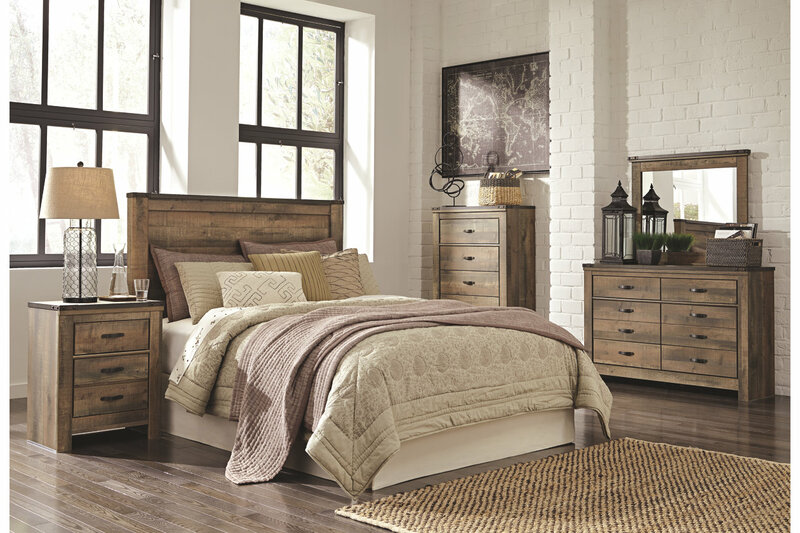 Rustic finish, plank-style details and nailhead trim pay homage to reclaimed barn wood, making for a chic look loaded with charm. Mattress available, sold separately.